If you’ve always wanted to take scuba diving lessons, experience unparalleled adventure and see the world beneath the waves, this is where it starts. Get your scuba diving certification with the Open Water Scuba Diver course – the world’s most popular and widely recognized scuba course. Millions of people have learned to scuba dive and gone on to discover the wonders of the aquatic world through this course. Open Water Scuba Diver course is a three part scuba certification taking place over three days time. Before beginning the course you must complete the home study knowledge development. Budget approximately 6 hours to complete the e Learning process. After completing home study you are ready to begin. 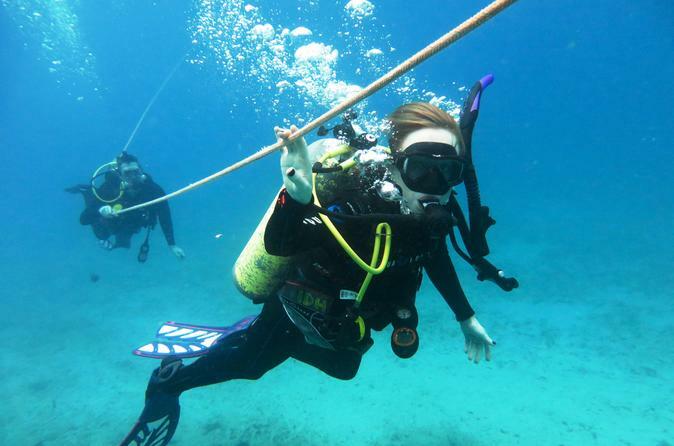 The first day of class you will meet with your Scuba Instructor and go over the material that you completed online. Your Instructor will then administer a quick exam to test your understanding of the material. After this brief classroom session your instructor will give you a demonstration of the scuba equipment that you will use for the remainder of the course. Now its time to head to the water. You and your instructor will go to a shallow confined water site where you will practice all of the skills required to become an open water diver. Later that day, you and your instructor will join our daily dive charter to make two of the four open water scuba dives needed for certification. You will have the opportunity to showcase the skills you have learned while diving on the beautiful coral reefs of Hawaii. Sea turtles, Octopus and an array of colorful tropical fish will watch as you join the underwater world. On the second day you will be back for additional water training and then onto the boat to complete the final two dives and become a lifetime member of the ocean community. Now you are ready to travel the world and see all the amazing things that reside beneath the sea.